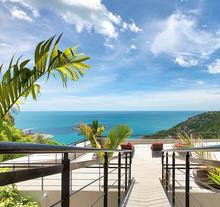 The villa is set on the Hills of Chaweng Noi, with very private and amazing views, at about 1.3 km from the Ring Road. 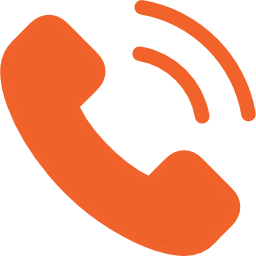 Precisely, it is between Chaweng and Lamai, the 2 main tourist area of Samui, where choices for clubs, bars, restaurants, shops, markets, cafes, malls, supermarkets, etc are literally hundreds. There are many beaches that you can reach within few minutes, such as Chaweng Noi Beach, Coral Cove Beach, Crystal Bay Beach, Chaweng Beach and Lamai Beach. 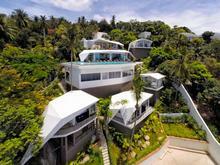 There is also The Royal Samui Golf Club which can be reached by walking for about 10-15 minutes. Nice local restaurants are also ready around you and you can try some local cuisine by going into the restaurant or using the delivery service. Many good experiences can be gained while you are staying in the villa. 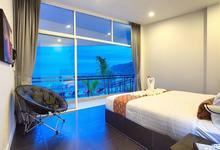 By the location, the villa has the ideal spot to enjoy beautiful scenery of sea. You can eventually feel the breeze of the sea wind and inhale the fresh air in the morning. This can be the right place that can satisfy your desires in having great holiday. There are 11 bedrooms that can accommodate up to 20 people, so you can just invite your family and friends to join you escaping on this delightful villa. 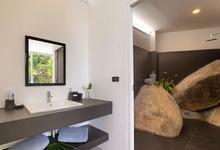 Luxurious bathrooms with sophisticated designs are also ready to indulge your needs in having relaxed moments. One of the best things is the villa is friendly for children. There are many spaces that they can use for playing and you can have your private moments with your loved ones without getting interrupted. Speaking about amenities, you can see how luxurious the villa is when you're stepping into it. 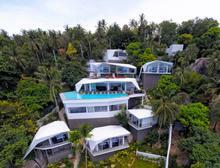 This is definitely one of the biggest villas in Koh Samui that has many opulent elements that you can enjoy. 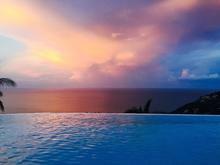 The first thing that you can get is a beautiful pool surrounded by beautiful sea view. 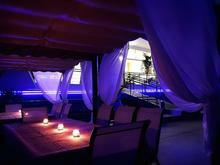 There are also some lounge chairs where you can sunbathe and take a pleasant time in rejuvenating your senses. Well, you can have the best imagination about this and that's what you will get while staying in the villa. Then, the villa has the best service and the best staff that can help you in any matters. Eventually, you don't need to think about trivial matters and focus on living the best holiday moments! 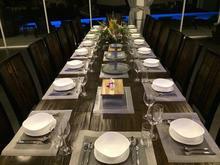 At last, you can make any events in the villa and they will help you to create great memories. 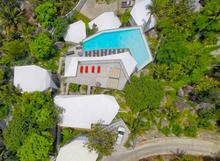 Daily breakfast, maid service, WiFi, Samui airport transfers (certain conditions apply). Refundable Security deposit of USD$1000 or equivalent required to be deposited with the villa manager by Check-in, to be refunded on check-out. We loved the villa and staff at Villalet could not of been more helpful with all the arrangements! The staff in Suan Kachamudee were wonderful and very nice. The pool was amazing and overall we loved our holiday! Great experience here, the staff helped cook us food and make sure we got whatever we needed. Rented it out for a company retreat and everyone would come back! From the onset, Manu has been very accommodating in regards to planning the trip as we were quite a large group. As we entered the villa and saw the pool, it was as if it was inviting us to start a party. The whole floor plan is extremely well laid out and perfect to entertain large groups. 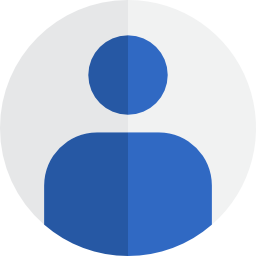 The staff is very helpful and always make sure we have everything we need. Strongly recommend to have in house chef service, super tasty and fresh. We would go back anytime for another taste of their hospitality and lovely villa! Thanks again Manu for your timely responses and coordinating everything so well; it has been a pleasure!